Niniola Apata an elder sister to Singer Teni Apata has purchased Joint Admission and Matriculation Board (JAMB) forms for 30 students. She shared this on her IG page saying she’s trying to walk in her father’s shoe. 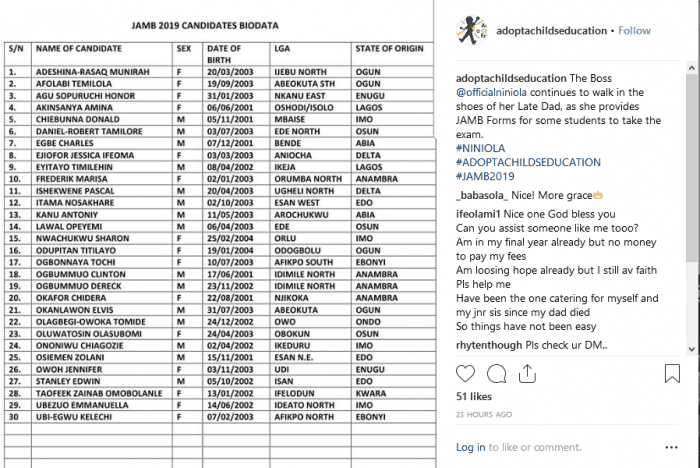 The songwriter reached out to the students through her foundation “Adopt A Child’s Education” which was launched in July 2018.